1. 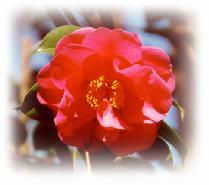 Rules and regulations governing procedures and Judging of American Camellia Society cooperative Shows (revised 2007) are effective for the Annual Camellia Show presented by the Virginia Camellia Society. Unprotected blooms are defined as those grown in natural surroundings without any MAN-MADE protecttion from the elements of nature. 3. Seedlings may be entered and judged in accordance with Paragraph #1 above. 5. Entries will be accepted on the show date posted on our calendar subpage All blooms must be on the tables not later than 10:30 a.m. Judging begins promptly at 11:00 am. 6. All entries must be delivered to Norfolk Botanical Garden. 7. Any interested grower may exhibit under Horticultural Classes, and blooms so exhibited must be from plants that have been owned by the exhibitor and in his possession for at least thirty (30) days. 8. It is recommended that Horticultural Class specimens have at least two (2) leaves and two or three (2-3) inches of stem attached. Wiring of bloom to wood of parent plant is permissable. A maximum of three blooms (3) per cultivar are permitted. 9. Each entry in the Horticultural Classes must be accompanied by a standard entry card (provided by the Society), properly filled-in to provide variety name and other information. It is urged that such cards be completed prior to arrival at show. Use pencil. DO NOT USE INK OR BALL-POINT. 10. Blooms grown by selected large growers may be classified and placed by exhibitors, provided they are arranged alphabetically before they enter the exhibition room. All other entries must be approved by a Classification Committee and placed by show personnel. 11. The show Committee is not responsible for damage to exhibit or loss of blooms or other property and reserves the right to reject or discard any exhibits that it considers unsuitable. 12. To prevent the spread of disease, all horticultural exhibits will be destroyed at the close of the show. In all classes, not more than one (1) Blue, Red and Yellow Award will be given in each variety. The size of chemically treated miniatures which exceed 2.5 inches should be consdidered a deficiency. Novice division exhibitors must follow all the general rules plus the following special rules for the Novice Division. 1. The Novice Class is open to exhibitors who have 25 or less plants and/or have not won an award at the head table at any Camellia Show. 2. Special entry cards will be marked "N" (novice) and be obtained from the show chairman. 3. There will be no separation between blooms grown outside or inside. 4. There will be no separation in species. BEST IN SHOW - Novice - (white cards) Please mark, entry cards with an "N". The Honor Court will consist of the blooms in final competition. American Camellia Society - Outstanding Bloom Certificates may be awarded to blooms receiving a majority vote of all judges eligible to vote. Highly Commended Seedling Certificates - ACS provisional Highly Commended Seedling certificates will be awarded to seedlings blooms when, in the opinion of three-fourts (3/4) of the qualified Accredited Judges present, they are deserving of such awards. 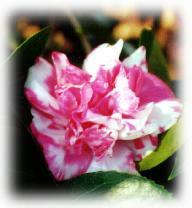 The Virginia Camellia Society Fall Show and Plant Sale was held on November 4, 2006 at the Norfolk Botanical Garden. 170 blooms were entered but we usually have twice that many; for some reason this year most of what was jibbed for early blooming, bloomed after the show. See details of Jibbing under education. 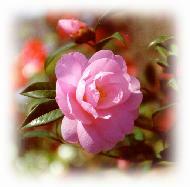 The bloom season for camellias is September through May (winter bloom season). Seedling Certificates: Dr. T. W. Gouldin and Eric Hillerman. Report submitted by Lawrence D. Barlow, Show Chairman. Show Report Submitted by Lawrence D. Barlow, Show Chairman. For answers to questions, email us at info@vacamelliasociety.org.